In the wake of the escalating violence in Jerusalem and elsewhere in the Holy Land, and following the attack earlier this week on the synagogue in the Holy City, I contacted the Israeli Jesuit priest David Neuhaus, and asked how he reads the deteriorating situation there. Fr. Neuhaus is an astute political observer and a man committed to peace. Born into a Jewish family in South Africa, he became an Israeli citizen at the age of 17. Nine years later, after obtaining his PhD in political science from the Hebrew University in Jerusalem, he decided to become a Catholic and entered the Society of Jesus. He is currently Vicar of the Latin Patriarchate for Hebrew Speaking Catholics in Israel, and lives in Jerusalem. The following are his responses to my questions. How do you read the situation in Jerusalem, and the Holy Land today? We are again going through a period of intense violence as we have in the past. The escalation from violent words to violent acts has been rapid this time perhaps because the entire area is already aflame. Images of violence from Iraq, Syria and elsewhere influence us. The two most present sentiments right now seem to be hatred and fear. Over the past month or more we have seen a downward spiral of violence, expressed in individual acts of violence and killing. What is the reason for all this? These individual acts of violence are born out of a very general atmosphere created by violent words of rejection, refusal, revenge…. These words are too often used by our political and religious leaders. Words become acts and acts lead to other acts. The Middle East is engulfed in violence right now and violence is infectious…even more infectious in an age of communications in which images are flashed around the world in an instant. That violence has reached a new level with the attack on the synagogue on November 18. How do you interpret this? Do you really think that this is a new level? In the past too we have seen people murdered in places of worship – in 1994 a massacre in the Hebron Haram and a few years ago an attack on a yeshiva. With all the tragedy involved in the loss of life of four grandfathers who died horribly and have left behind mourning families, what is new? Unfortunately, our memories are limited…. There have been massacres in mosques and in synagogues before…and in churches too. Hatred seems to want to increase fear and so no place and no person can be perceived as safe. In this period too, we have seen the Israeli authorities give the green light for more settlements and the provocations on the Temple Mount. How much is this the background to the violence we now see flaring up? The background to the violence is indeed the irresponsible words and acts of those who have the most power: indeed right now the Israeli authorities. We want to see an end to the violence but it is unrealistic to think that the violence will end when the structures of violence exist: the occupation of the Palestinian Territories, discrimination in day to day life, education based upon walls and selective readings of identity and history remain in place. Prime Minister Netanyahu is promising an even harder crackdown, but where will all this lead in your view? We know where this will lead to as we have seen this in the past too. Crackdowns lead to even more resentment and more hatred, hatred to even more violence, violence to even more fear. It is all part of the problem rather than the solution. In this cycle of violence, who will get tired first? How many more will have to die until we realize that this is not the way forward? We need to repeat without tiring that the only way forward is recognizing the other and his or her narrative, understanding that this violence, whether we like it or not, is not psychopathic but based upon very identifiable factors that have been created and that in themselves create vengeful, hate filled human beings, who are capable of committing the most terrible crimes and justifying them in the name of self-defense and revenge. 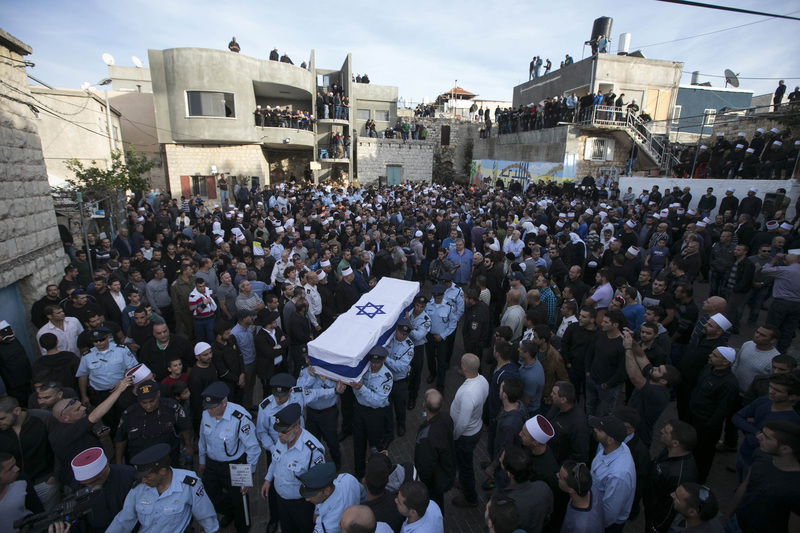 Are there no significant voices for peace on the Israeli political front, and if not why not? There are voices that are sane and self-critical in Israel but unfortunately most of them are not in the political sphere. To hear these voices we need to read Israeli fiction and poetry, follow some of the editorials in the Israeli press, watch Israeli movies, go to Israeli theater or listen to Israeli music…. We can also follow some of these voices in the NGOs in Israel that are dedicated to human rights, to social equality, to ending discrimination and the occupation. Why have the most sane voices in Israeli society shunned politics? Perhaps because of despair? Dare we hope that these voices of sanity are indeed forming Israeli conscience as well? What do you see on the Palestinian side? Unfortunately, to some degree the Palestinian side mirrors the Israeli one. The sanest voices have shunned politics perhaps because they have despaired…. To hear them we need to follow the work of the NGOs, read literature, watch movies and listen to music. The two-state solution is not dead but of course weakened by the lack of willingness on the side of the political leadership to work towards it. One of our biggest enemies in advancing is the widely spread myth that: “We will be victorious!” It is this myth of victory that some of the political establishment tout. If we will be victorious, why compromise, why get to know the enemy? Ultimately it is only a question of time before we wipe out the enemy or at least reduce the enemy to a state of passive subjugation. However, those pushing the two-state solution must realize that is only one possibility. I think that many Christians would feel a lot more comfortable with one secular state due to the fear that a two-state solution would both mean that each of the two states could continue the conflict and that each one might be dominated by one ethno-religious community, Jews and Muslims respectively. At this point, the ultimate solution is less important than getting the warring parties to accept that each of the parties is here to stay and that is the very make-up of the Holy Land and the Holy City. What can the church or religious leaders do in this context? The church is in a privileged position because she is rooted but marginal on both sides. Rooted, she is fully Palestinian Arab and also more recently Jewish Israeli. The church speaks Arabic and Hebrew. Many of her members live integrated in Palestinian society and some others in deep solidarity with Israeli society. This could point to a divided church but I believe it can also reveal a church that is a bridge builder, a church that incarnates a relationship that defies walls of enmity. In this sense, the church must be a yeast within both societies. She must serve as a seed of sane discourse on both sides of the wall of enmity. She must courageously proclaim what she believes: that Jerusalem’s vocation is to be home to all, to Jews, Muslims and Christians. Because she is marginal, the church does not need to jockey for power. Christians are about 2 percent of the population wherever they are in the Holy Land. Thus in formulating her message, the church can embrace the prophetic vocation that redefines reality, seeing alternatives to walls. How is the media handling all this? Much of the media seeks to capture headlines and often uses sensationalist headlines and rousing language that does not penetrate or analyze. By ignoring context, both historical and geographical, the popular media does not help to formulate a language that adequately describes what is going on. The media follows individual events, but those events can only be understood by putting words on the general context. Is there any path to peace in this context? There is always a path to peace in every context. This path must pass through a humanization that rejects the type of language we use at present. Pope Francis has pointed to the ultimate key: realizing that each person is my brother or sister…even my enemy is a beloved child of the God we call Father. Of all people, those who believe in God should be able to see that the best. Do you see any signs of hope? Hope radiates from those willing to seek new ways of speaking, new ways of acting, new ways of engaging one another, new ways of pardoning, new ways of bringing down walls. I look for these signs in my own day-to-day life and find them everywhere in the real humanity of the Israelis and Palestinians I know and love. When I seek signs of hope, I look for a new work of art, Palestinian or Israeli, a novel, a poem, a painting, a film…and inevitably there I find some light at the end of the tunnel.